My family and I saw the movie “Hidden Figures” starring Taraji P. Henson, Octavia Spencer and Janelle Monae over this past weekend. 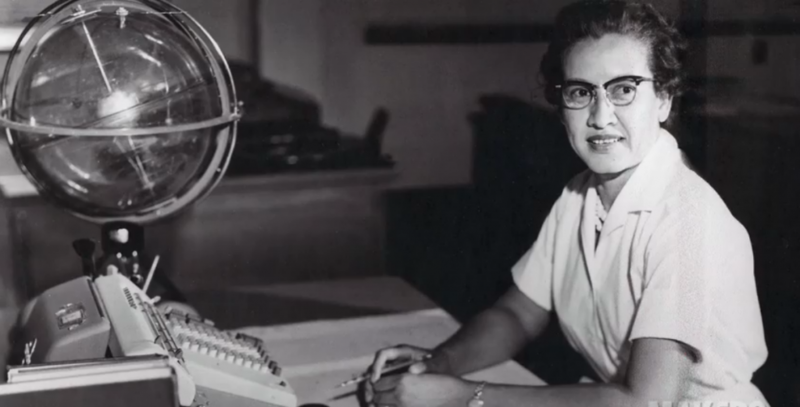 The actresses portrayed three remarkable women who made history at NASA…Katherine Johnson, Dorothy Vaughan and Mary Jackson. These women were the brains behind one of the greatest engineering feats in history: the launch of astronaut John Glenn into orbit. I took my daughters to see the movie, hoping that they would be inspired and encouraged and maybe just a little bit intrigued about STEAM (Science, Technology, Engineering, Arts, Math). I didn’t expect to walk out the theater with three lessons…for myself. Lesson #1 – There will be times when you will be the ONE in the room. Being the ONE can be many things – the only woman, the only person of ethnicity, the youngest, the oldest or the smartest. Being the one in the room has a myriad of challenges to include feeling isolated and heaven forbid inadequate. You might even ask yourself, Do I really belong here? The answer is YES. Often times the other people in the room didn’t have the influence necessary to keep you out of the room. You are there to be a brilliant, strategic, witty, compassionate and a problem-solver. You aren’t in the room by chance. Lesson #2 – Just because they love you don’t mean they will understand your “why”. Your love ones mean well, but let’s face it….they will not understand your “why” especially if they don’t have one of their own. Listen, a woman who is driven and focused can drive the average man insane. When you know you have purpose for your life greater than what is right in front you, you will seek that purpose as that purpose makes room for you to excel and be extraordinary. That type of focus can be hard for the people who love you to understand. Don’t lose focus. Keep going until to you make history. Lesson #3 – Folks will try to limit your elevation based on their insecurities and prejudices. There are some of you reading this right now who are doing a job that your aren’t being paid for but are expected to do. You are managing major projects, you are managing a team, you are nurturing crucial client relationships, you are saving the company millions…but you haven’t been recognized for it. This is what I know, when you consistently showing up and deliver your best, your talent will make a way for you in the most unexpected ways. That promotion you keep asking for and rightfully deserve might not come to you in the way you expect. The people who have the power to promote you aren’t always the people who supervise you. So what did my girls learn from the movie? They learned that you can do anything you put your mind to no matter what someone else may say or if they try to stop you. They learned that putting a man in space requires lots and lots of math. They learned that when women work together and look out for each other, good things happen. Out of the mouths of babes, but truer words have never been spoken.